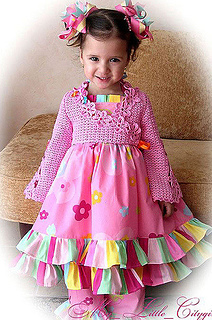 Charming flower bolero worthy a little Princess… Let Her choose her favorite color. 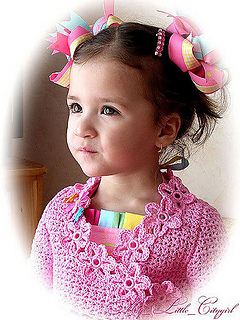 So Girly and Sweet!! 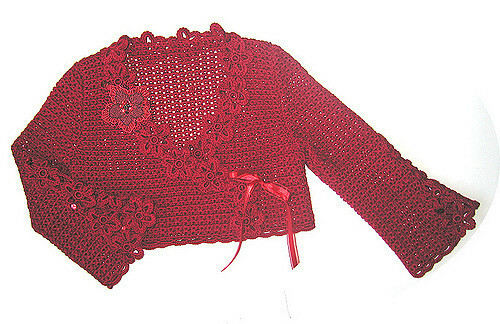 Can be made from any medium worsted yarn in her favorite color and just Perfect for any seasons and occasion - b-day, pictures, family gathering, holidays, Easter… either practical enough to be worn every day! Sizes 2 (4, 6, 8, 10, 12) years.